A solid door kitchen dresser unit could look really great in your kitchen. Whether your style is traditional or ultra-modern, we over a range of kitchen unit designs and different finishes. 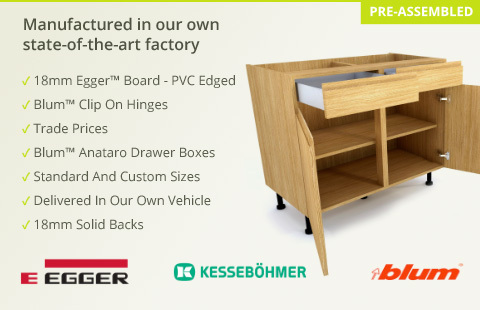 Manufactured in the UK, all of our dresser units are pre-assembled and made with 18mm PVC-edged Egger Board.